I'm not a big fan of prison songs, but I always loved this one. 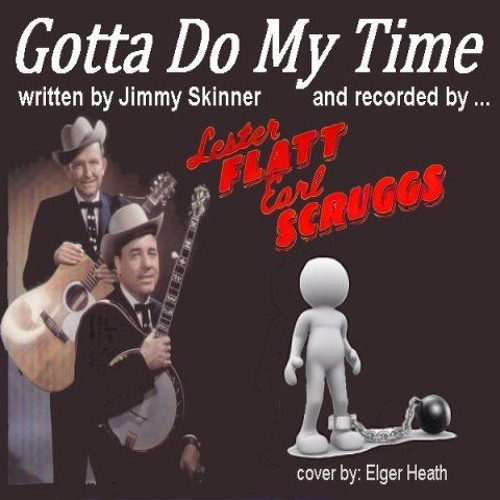 'Gotta Do My Time' was written by Jimmy Skinner and recorded by Lester Flatt & Earl Scruggs as well as Johnny Cash. I love the way the lyrics pause for effect in classic Bluegrass fashion. This is a number I often pull out when my Bluegrass friends are over for a jam. This is a nice piece and I think my lyrics are a mix of the Johnny Cash and the Flatts and Scruggs versions. Check them both out on Youtube.